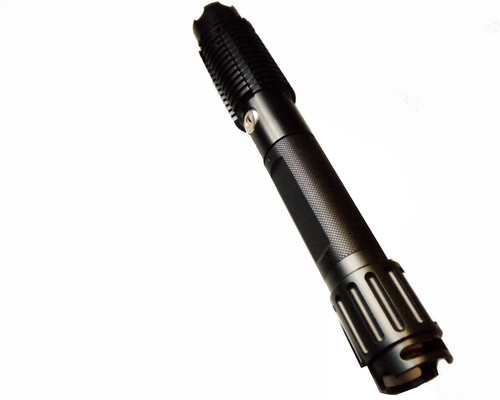 The high power laser dazzler is most popular non-lethal dazzler weapon in the world, it's widely used. 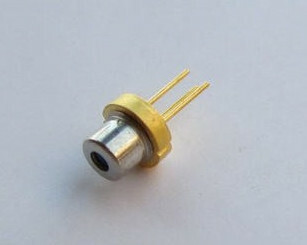 See the video here. 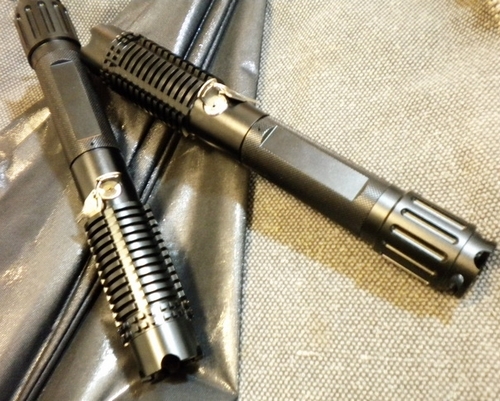 Laser dazzlers have become the new threat deterrent alternative to lethal force. 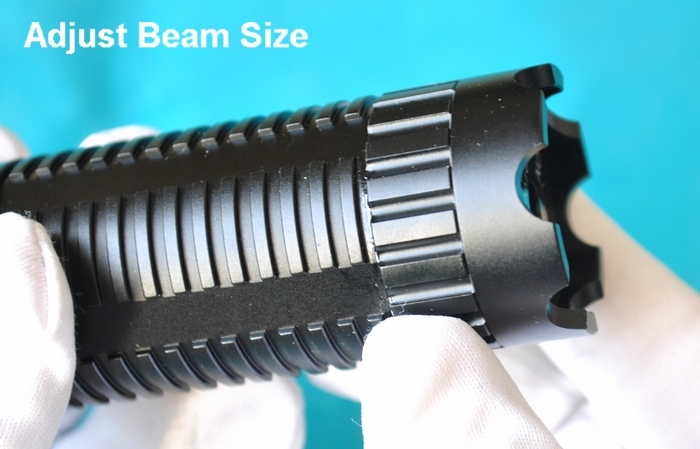 By employing laser light to temporarily blind the opposition, they are a unique and portable device that confuses and intimidates potential threats by sending a brilliant burst of laser light energy into the path of suspecting individuals. 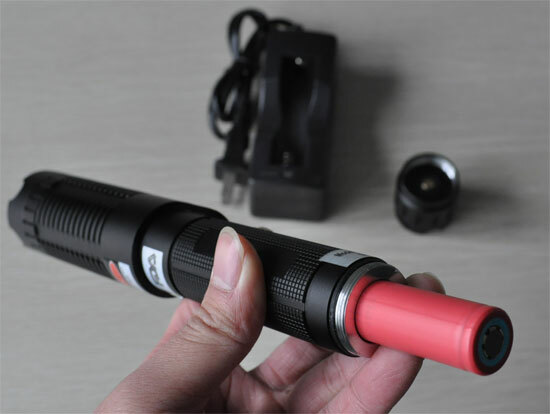 The portable laser dazzlers are made and tested with a precise eye safe power density for mere TEMPORARY vision impairment device. 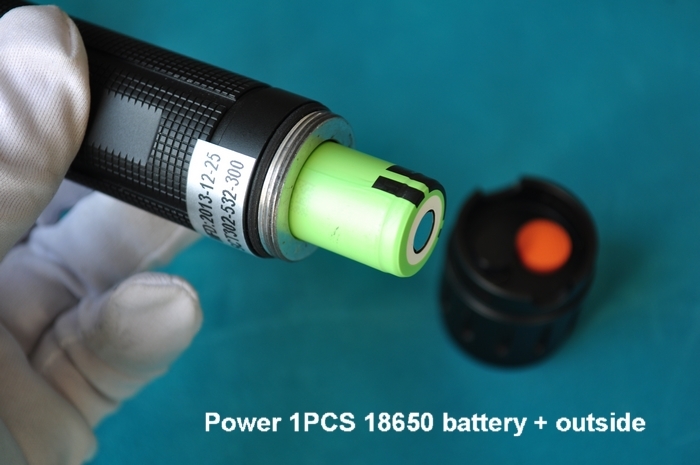 they are Class 3B lasers with sufficient power 300mW to cause ocular injury at short ranges 20 meters, respectively, based on a 0.25-second unaided exposure. 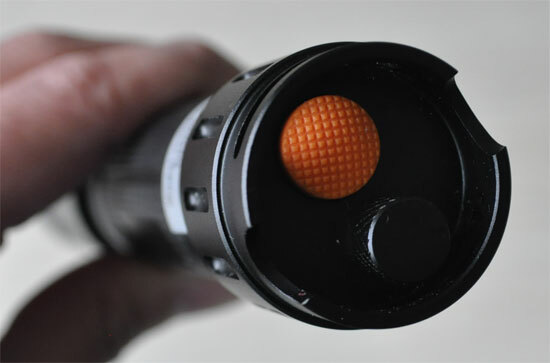 If you need farther effective distance, check the highest power laser dazzler. 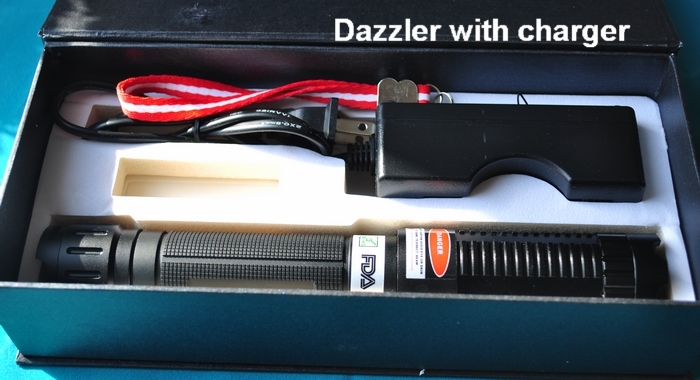 The laser dazzler is a big "laser pointer", the length is 19.3 inches, much longer than 1w blue laser pointer. 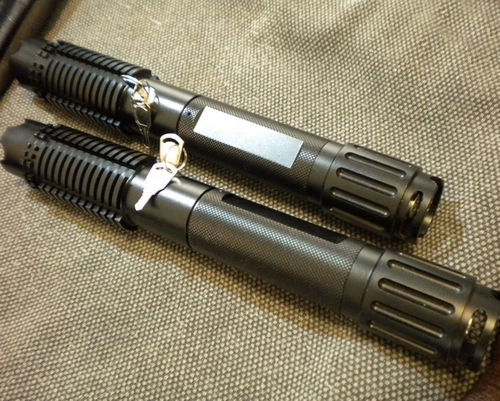 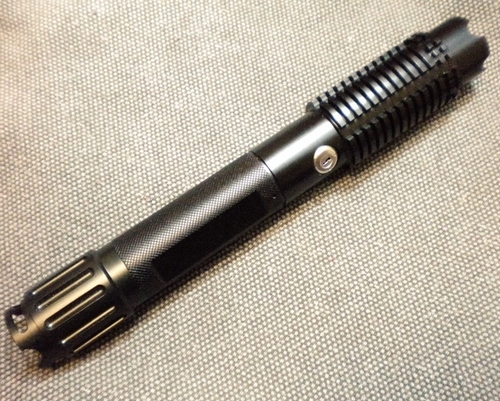 The laser dazzler is powered by 18650 battery, insert the "+" end outside. 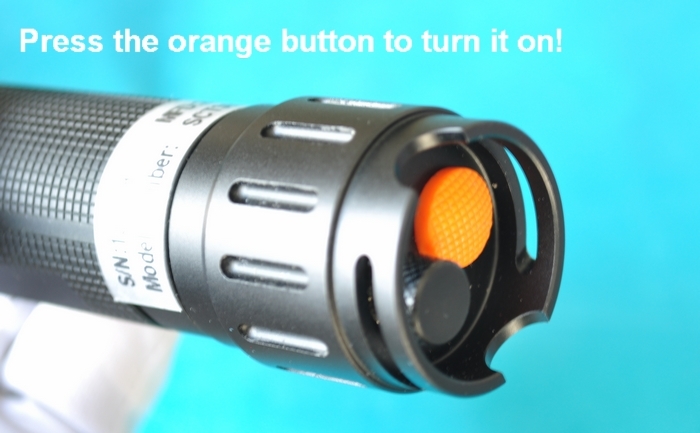 The press the safety key on the tail. 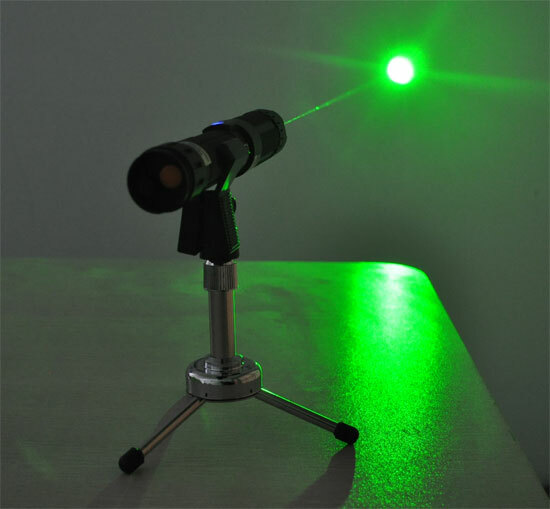 Green Laser Dazzlers emit invisible green light against humans, when they are intended to cause no long-term damage to eyes. 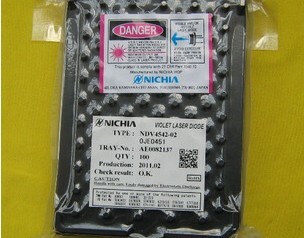 The emitters are usually lasers, making what is termed a laser dazzler. 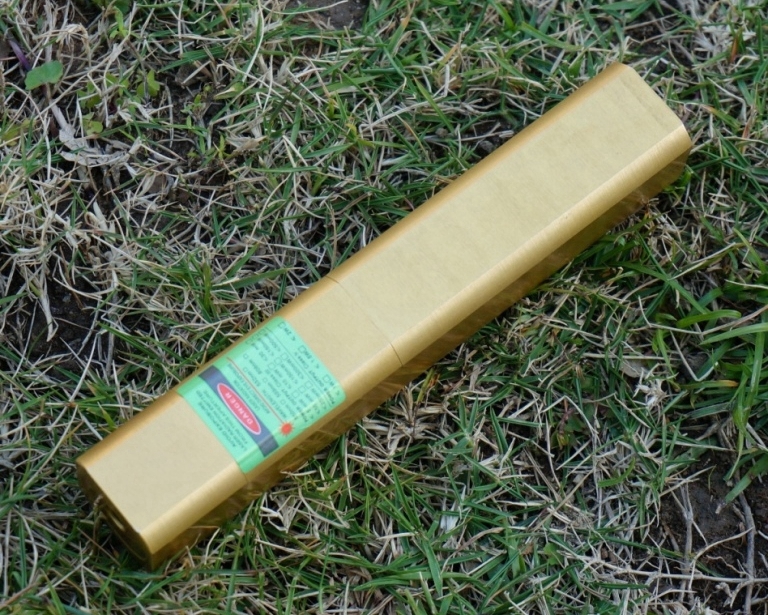 Most of the contemporary systems are man-portable, and operate in green (a diode-pumped solid-state laser, DPSS) areas of the electromagnetic spectrum. 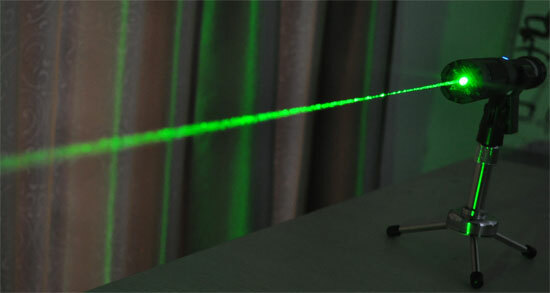 The green laser is chosen for its unique ability to react with the human eye. 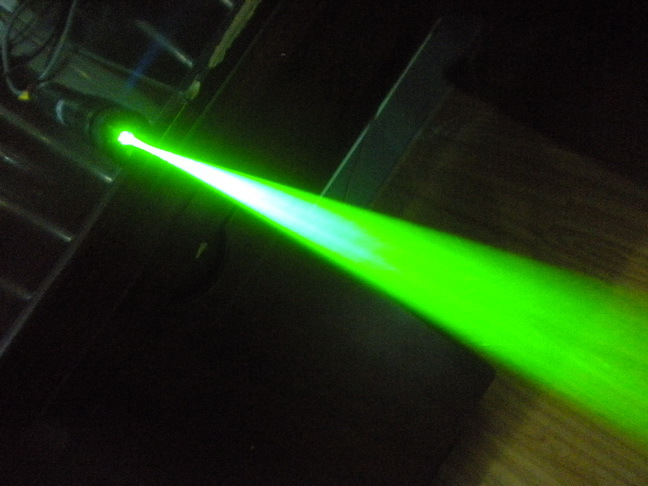 The green laser is less harmful to human eyes.